Romania is one of the poorest country in the European Union, while is also one of the most religious one, this is not a coincidence: people wait for “someone” to come and solve their problems instead of putting their asses to work and get done what is needed. 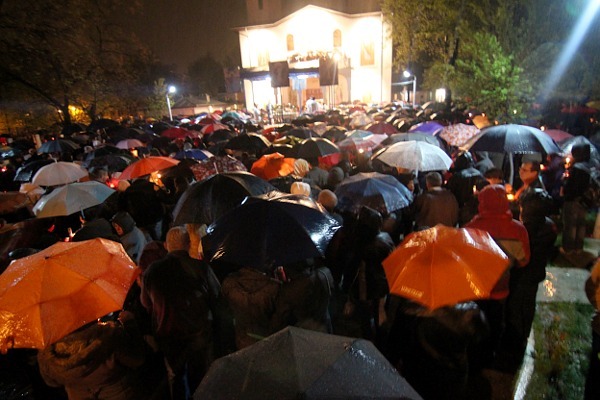 I was reminded of this Saturday night at the Easter mass, when, despite the rain, churches in Bucharest were flooded with people wanting to “get the light”, it was one of those moments there is no hope and the indoctrinated masses have no future. Ironically, a couple of days later, I meet a few kids on a park, having a whiteboard and asking people to write down a reason they think “Romanians are beautiful”. I turned-down the offer, Romanians are sheep.